Traveling isn’t traveling minus the mention of proper footwear. Actually, shoes are very important when it comes to traveling. But really, which are some of the best travel shoes for men? Where can they be found? What are some of the things one needs to pay close attention to when in the market for a new pair of travel shoes? Well, these are some of the questions that this article seeks to answer. Take your time and go through it. You’ll definitely find where you have been going wrong in your search for a suitable pair of travel shoes. 1 How to choose the best travel shoes for men? How to choose the best travel shoes for men? The appearance of a pair of is one of the easiest ways to know if it is meant for travel even from far. Have you ever come across an individual and just from the appearance you conclude that they’re indeed tourists or travelers? The design of the shoes can help you make such a decision with a lot of ease. Always go for shoes that stand out among the rest. Always check what the outsole is made of. Ideal travel shoes should have their soles made of rubber as they are usually flexible and offer maximum grip. Travel shoes need to be anti-slip. Otherwise, you might embarrass yourself when you fall on an airport floor for example. Can you picture how bad such a situation is likely to be? Still, on the design, these shoes shouldn’t be made using bulky materials as such might hinder your movements. Where exactly do you plan to visit with the shoes? What is the climatic condition of this place that you’ll be traveling to? Having a clear picture of where you want to visit will form a bigger part of the decision you are likely to make as concerns travel shoes. 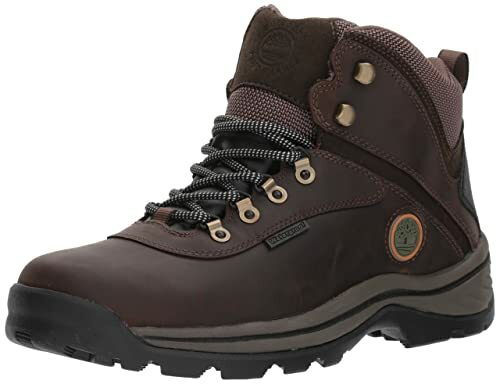 If you happen to find out that your likely destination is too cold or it’s raining there, then you will need to go for waterproof shoes that have the capabilities of keeping your feet warm. On the other hand, if it is in the summer, then you have no otherwise but to go for shoes that are well aerated so that your feet are kept cool throughout your traveling time. The activities you are likely to take part in during your trip is also important as you choose the best shoe for traveling. 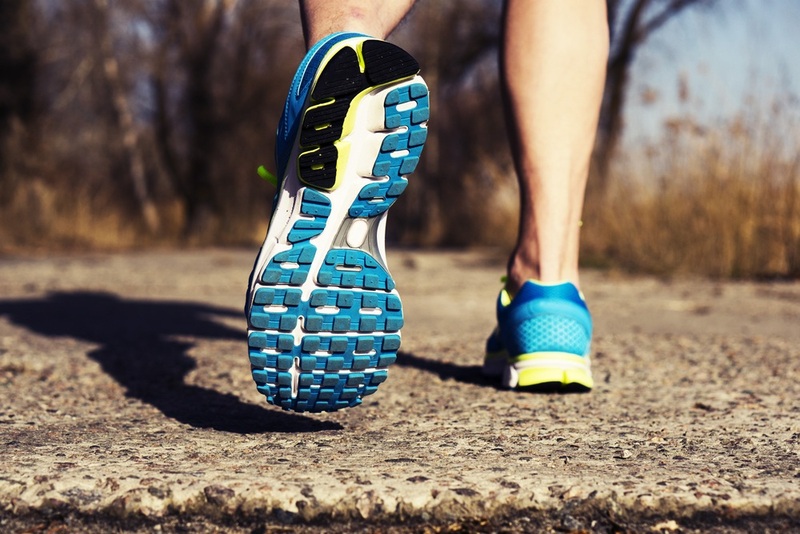 The shoes you buy should be able to handle your planned activities with a lot of comforts. Personally, here’s why I like versatile shoes. There are instances where you hadn’t planned to do some activities but on reaching your destination you find people enjoying them. With the versatile travel shoes, you won’t need to fork out some dollars for other shoes. The ones you already have will serve the purpose. Multi-purpose shoes will ensure that you only carry a few items in your backpack. This minimizes your travel load, therefore, making your trip a less strenuous one. The shoes should be able to handle the planned activities with a lot of ease and comfort. Regardless of the area where you plan to wear your shoes, they will without any doubt get dirty. Having your shoes getting soiled is something you cannot run away from. Remember you have only carried one pair of shoes for the trip to minimize your luggage. This means that there is a high likelihood that the shoes will get soiled even faster. How then are you going to keep the shoes clean while you are on the go? This is another important factor that you need to pay close attention to before you buy travel shoes. The best travel shoes need just a slight brush down and you’ll be good to go. If you’ll need to rinse the shoes then be sure that they are capable of drying quickly. Many people often ignore this very important aspect of travel shoes. 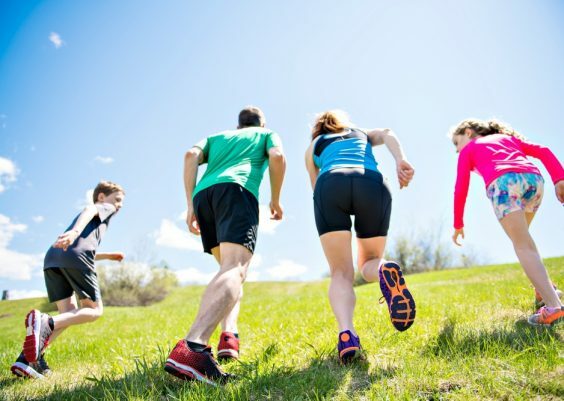 Between lace-up and slip-on shoes, your choice should be informed with the kind of activities you’ll most likely take part in while on the trip. Additionally, the culture of the people living in the areas you are likely to visit should help you determine whether to go for slip-on or lace-up shoes. There are cultures that require that you frequently remove your shoes as you get into various places. 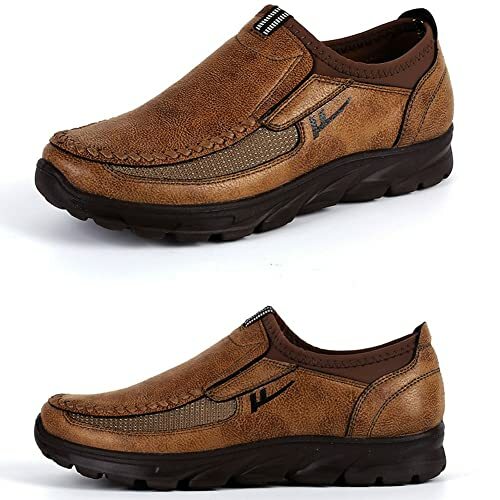 When visiting such areas then the slip-on models will be the best choice for you. They save a lot of time that could have been spent on lacing up the shoes. 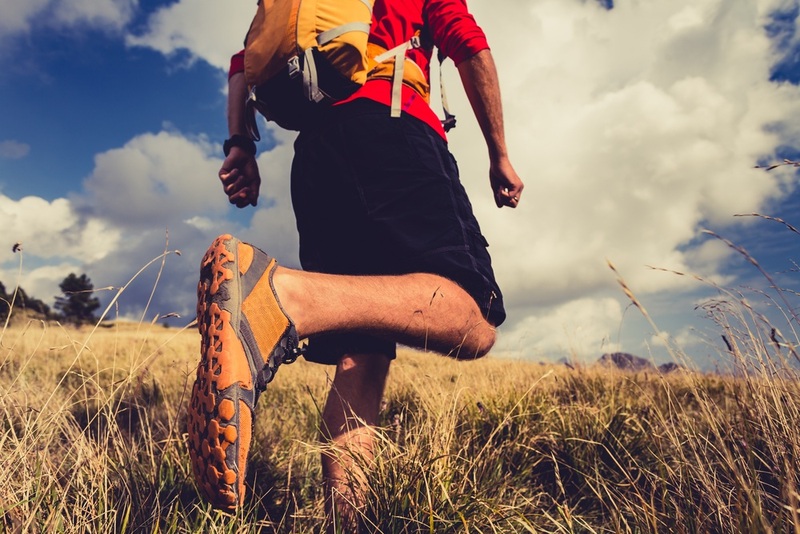 On the other hand, if you plan to do some hiking, then lace-up models are the most ideal for you. They will provide the much-needed support you need for the hiking task. The best travel shoes should be well-fitting. They shouldn’t be too large or too small as such will make you uncomfortable. The shoes should also be lightweight as too heavy models will strain your ankles as a result of the weight. Travel shoes should be comfortable throughout the entire period you have them on. The style should also be looked into. There are shoes that are perfect for cities and towns whereas others are ideal for rural setups. The choice is actually yours to make. How much have you set aside for travel shoes? Travel shoe prices differ from brand to brand. There are some that go for over $100 while others are below this. By now you should be aware that the costlier the product, the higher likelihood that it is top quality. It doesn’t, however, mean that you can’t find good travel shoes that are less expensive. Go for a product that fits into your budget. However, take note not to compromise on quality just to buy a cheaper pair of shoes. Looking for travel shoes? 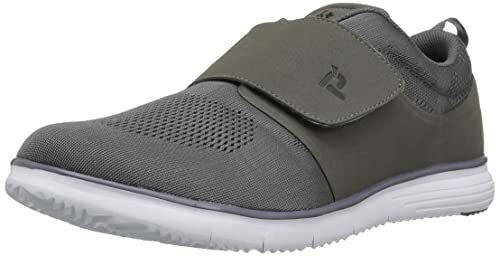 The Crocs Men’s shoes are a great option you can consider. These well-refined shoes can even be worn to the office. The shoes are purely synthetic even the soles as well. The shaft distance from the arch is 3 inches. The shoes’ upper section is made of lightweight canvas material. Inside is a very soft footbed for maximum comfort. On top of its base is another comfortable memory foam pillow. From the way it has been designed, these shoes are easy to put on and off. These shoes have the capability of supporting your ankles while at the same time providing you with the much-needed softness. The Croslite material used gives a great bounce-back feature. They are available in different sizes from which you can choose from. However, take note that the shoes are wide enough, therefore, leaving no room for straining. Along with its foot-bed lie small massaging nubs. The shoes are also odor-resistant given that they are well aerated. These are great shoes for any travel expeditions. They are, however, versatile and can be used over a wide range of activities such as hiking, boating and gardening among others. 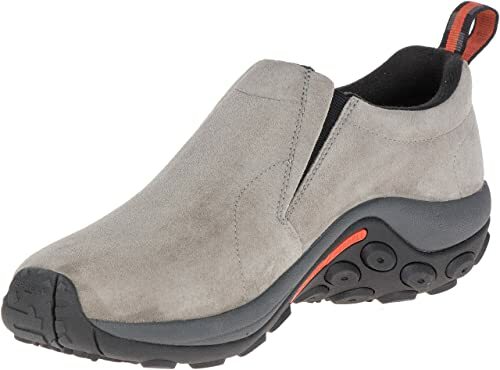 The Jungle Moc Slip-on from Merrell is another good shoe brand for travel amongst men. Its design takes great cognizant of comfort. It is built in such a way that moisture and sweat are automatically prevented from gaining access and spoiling the freshness of the shoes. 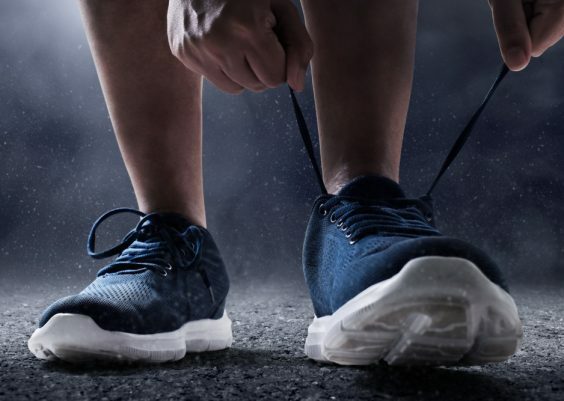 The shoe has anti-microbial agents that penetrate and prevent the reproduction of microbes that often cause odor in shoes. These shoes can be used across all kinds of terrain as their soles are made from highly slip-resistant rubber materials. These low-maintenance shoes are great for cushioning underfoot for maximum support. What’s more, these relatively versatile shoes are available in different colors and sizes. You only need to choose what you feel will make you stand out from the rest and you’ll be good to go. Their arch shanks are made of molded nylon. The shoes are made of leather which is very strong making this shoe brand very durable. 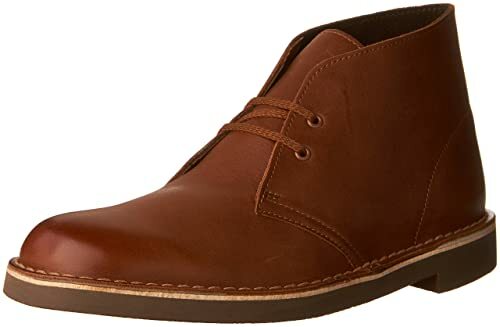 The Chukka boots are made purely from leather except for the crepe sole that is rubber. Having been in existence for more than 100 years, Clarks are known to produce some of the finest male travel shoes you can always come across. The distance between the arch and the shaft is close to 4.5 inches while that of the platform is approximately 0.25 inches. The heel measurement of this shoe brand is one inch. All these measurements are pointers that this is a great travel shoe brand, particularly for men. 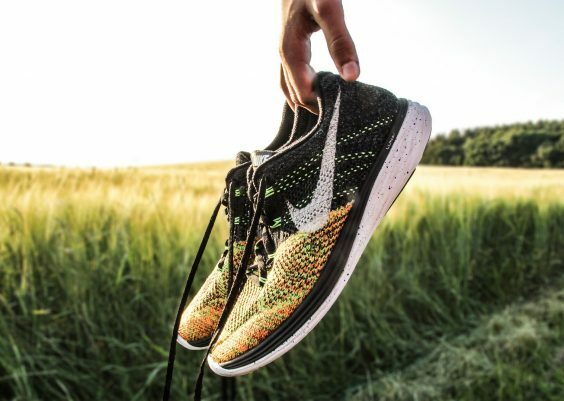 These shoes are generally larger than the rest and the manufacturer, therefore, recommends that you go for one that is 0.5 smaller than your normal shoe size. Get yourself a pair of Bushcare 2 and you’ll certainly love how it matches so well with a t-shirt and jeans or khaki trousers. The Timberland White Ledge is made of leather in its entirety with the sole as the only exception as it is made of rubber. The measurement of the shaft from the arch of this shoe brand is approximately 4.75 inches. On the other hand, the product has a platform measuring approximately 0.5 inches. The leather from which the shoes have been made from makes them waterproof on their upper part. The waterproof construction of the shoe brand is accompanied with seam-sealed edges. The hooks for lacing up the shoes are free from rust and provide some of the most secure lacings you can imagine. The EVA footbed is of dual intensity. Besides, it is removable which makes it easy to keep the shoe’s inner part is kept clean. Its collar is properly padded to make it a little more comfortable. This rugged pair of shoes is a good one for travel as it helps keep your feet dry for a long period of travel time. This shoe’s outer sole is made with a large variety of multi-directional lugs. Apart from the comfort that comes along with these shoes, they are great looking and long-lasting. 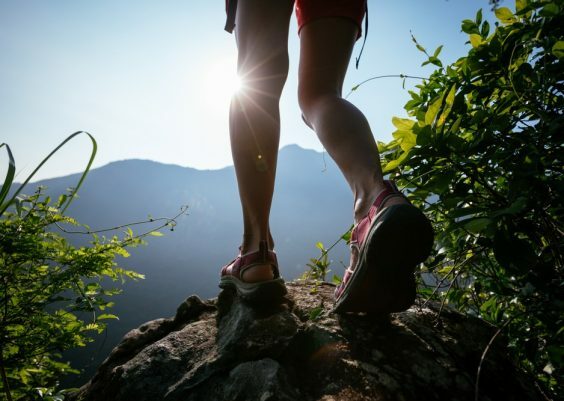 These shoes are versatile and can be used for hiking as well. New Balance has come up with the MW577 which is another great travel pair of shoes for men. 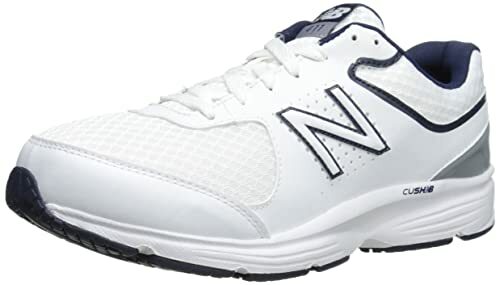 For over a century now, New Balance has been in the market producing shoes for different purposes. This gives them an upper hand over the newbies in the industry as they have earned some trust with the passing of time. The MW577 is easy to take off as well as put on. It is 100% leather with its sole made of synthetic. The upper part of the shoe’s leather is perforated slightly for purposes of making it breathable. This helps keep the shoes fresh for a good duration of time. This shoe brand is a good one for walking as well since it is designed with ABZORB technology that keeps your heels protected from shocks. Its lacing mechanism is a perfect one that features a double hook-and-loop strap located at the vamp. The product also has an applique logo situated on its quarter-panel. Here is another good shoe brand that can be used for purposes of traveling. The shoe’s upper part is made of leather whereas the sole is purely synthetic. The shoe’s Drop-In Heel technique provides both slide and shoe functionality, all of which are very important for any travel experience. To ensure that the shoe fits properly and is well-secured, its seam stitching is hand-sewn. Additionally, the logo details are embroidered. It is worth noting that the pods of the rubber outsole are non-marking and all-weather. All these are aimed at making the shoe flexible with higher traction. The shoe’s footbed is an anatomical dual-density PU accompanied with some insert made of polyurethane gel. Besides, the foot-bed cover is a very soft microfiber. These inserts can be removed and washed. This is another important thing as it will help keep your feet healthy. The heel of the shoe brand has an approximate measurement of 2.5 inches. The upper part of these shoes is typically an air mesh for breathability purposes. This part is majorly composed of breathable and soft microfiber lining that has been minimally done to an extent that you can’t even notice it. This also makes the shoe lightweight. Another great way to step out is by putting on the Maizun Loafers. This product’s upper section is top-quality leather material while the sole is rubber-made. There is an additional cotton nitrous material on the upper part of the shoes. All these materials have been included in the shoe’s design to make it skin-friendly, flexible, breathable, delicate and soft. Additionally, the shoes are tough while at the same time easy to clean-up. It is also worth noting that the shoes are three dimensional as a result of the shoe structures split proportion. The upper part’s hand-made suture and the usually smooth needle thread also gives this product a very nice outlook. Again, the soles are quite elastic as a result of the polyurethane material that has been used to make them. This helps keep the feet relaxed. Your feet are also given room for breathing at any given time as a result of the mesh cloth on the inner side. The antibacterial, elastic and soft inner sole also does a great job in as far as keeping the feet fresh is concerned. The shoe brand is very versatile and can actually match any kind of clothing. Its non-slip sole feature is another great one. You’ll be safer with these shoes on. Do you wish to travel in class and comfort as a man? Look no further as these shoes are just ideal for you. The Merrell Burnt Rock Suede is another available option you can make as well on a travel shoe. The upper part is suede leather whereas the sole is rubber-made. With the rubber offering flexibility of the feet, the leather offers great durability and breathability. This shoe’s shaft has an approximate measurement of low-top from the arch. Besides, the contoured insole is removable for easy cleaning. As if that isn’t enough yet, the very insole offers some good flexible support to your feet as well. The outsole’s M-Select Grip tunes each other and in the end, long-lasting traction is produced. This another good shoe worth spending on. The versatility of these shoes cannot be questioned and will, therefore, make them ideal for various travel destinations. We don’t even need to state how comfortable and well-fitting they are because we are assuming that you know already. 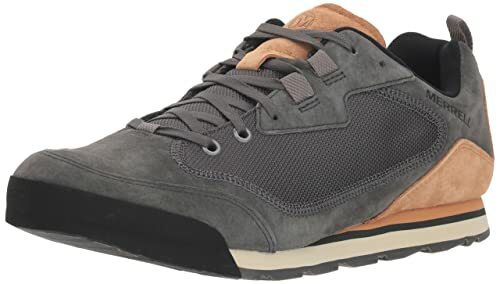 Here is another brand of travel shoe for men that can be considered sporty at the same time. From its design, you can actually conclude that the manufacturer had the traveler at the back of his mind while making this shoe brand. The shoes are flexible and lightweight which makes them easy to move around in. This product comes with a desirable amount of comfort making your travel expedition a memorable one. It also gives your foot extra support. The shoe brand is 100% textile with a touch of synthetic on the outsole. The flexibility that this shoe brand will offer you is also just excellent. The wider widths are meant to give the feet some room for breathability. There is some antibacterial touch on the shoe’s inner sole to prevent the reproduction of odor-causing microorganisms. This shoe brand, without any doubt, is meant to be used by men for specifically traversing the world. Another travel shoe from New Balance is the NW411v2. 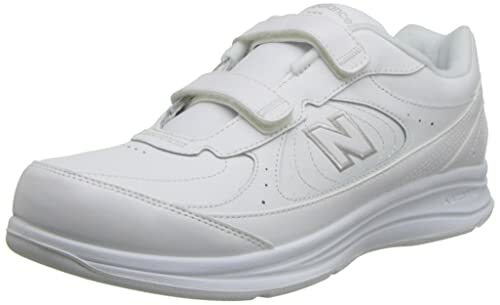 New Balance is a well-known brand as they produce top quality shoes. These are synthetic with rubber soles which provide room for flexibility and comfort at the same time. The product is lightweight and has an approximate measurement of tow-top inches on the shaft from the arch. From the design, you can tell that these shoes can be used over a wide variety of applications. They will form a perfect fit for your needs as a man to find ideal travel shoes. Just like the others above, you can try them for your next travel adventures. You’ll never lack anything to do with these shoes at your disposal. The other attractive feature of these shoes is that they are very stylish. This will be a perfect blend to fit every man’s ego because men naturally love stylish things. The only issue that kind of puts some people off regarding these shoes is the very long laces that they come with. It is really stressful to deal with the laces sometimes. 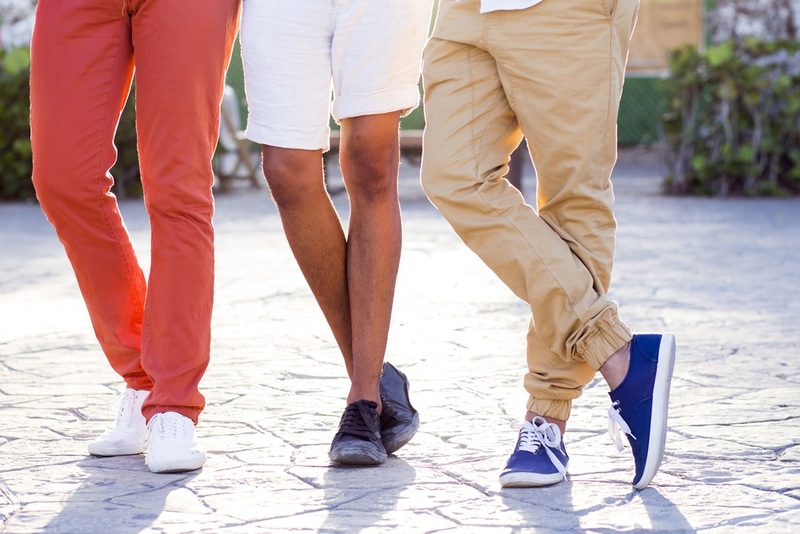 As you have seen, there isn’t any reason as to why you should fail to make the right choice when it comes to travel shoes for men. You got some of the things you need to look at before you buy any travel shoe. Besides, there is a list of 10 products from which you can choose from. What exactly could you still be missing? 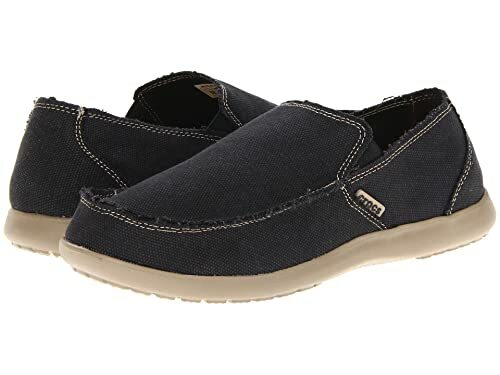 Of the 10 reviewed products, none beats Crocs Men’s Santa Cruz Loafer as the best travel shoes for men. These purely synthetic shoes are comfortable, affordable, durable and versatile among others as you have seen above. I would recommend them any day. In the event that you don’t like our recommended product for whatever reason, you might be interested in trying the others. They are equally good and will offer you the class and soft touch that you need in your travel shoes as like man. Do you have any comments or questions? Feel free to get in touch with us.